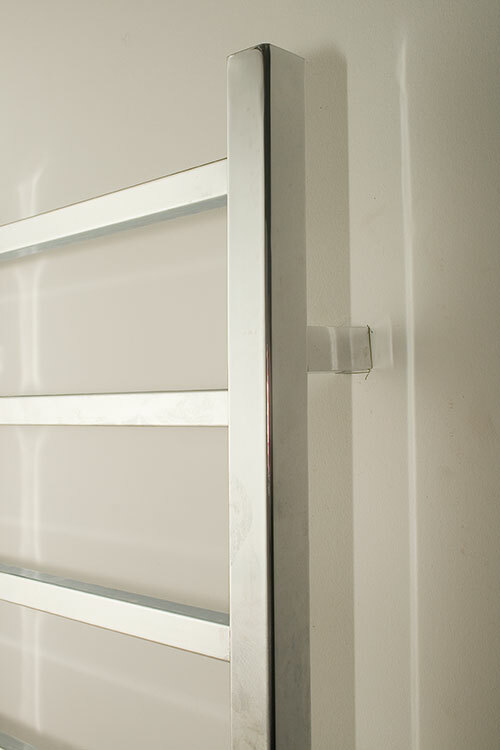 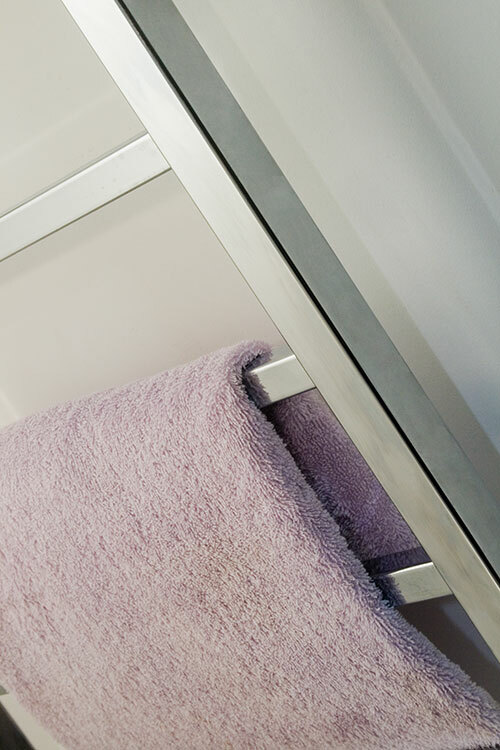 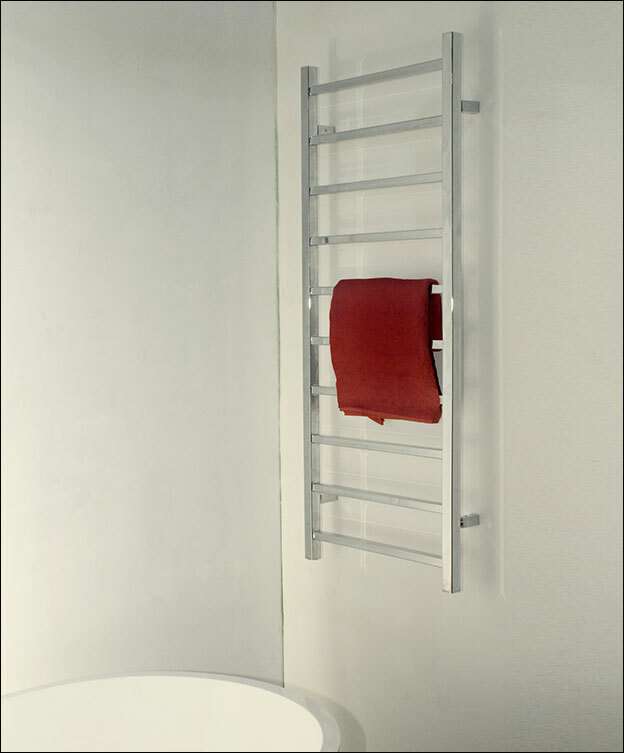 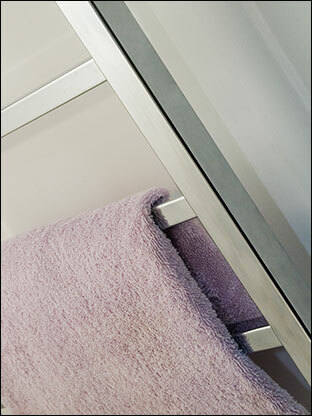 This chrome on steel ladder towel rail is manufactured in Europe to high European standards. 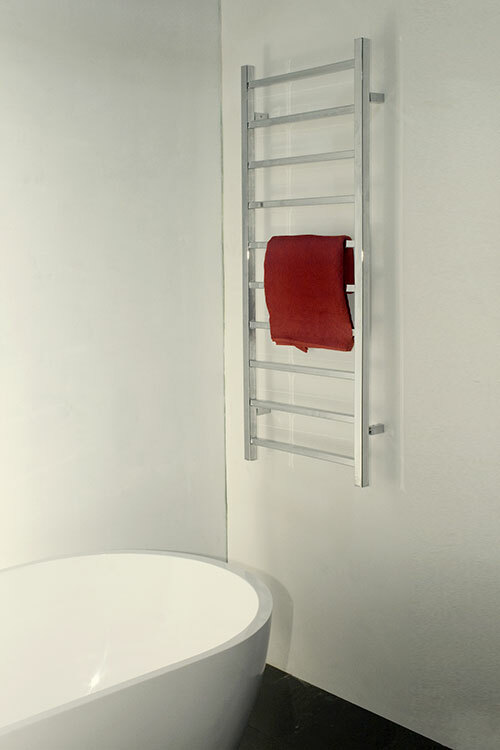 Each ladder style towel warmer can be used on central heating, dual fuel heating or electric only systems. * Chrome on steel construction.